There was a time when the spirit world was ephemeral, temporary. That’s why true occult relics are rare. Nevertheless, they have a habit of finding their way to market. During a political or financial crises, a coveted object that can’t be sold in the open can be converted to quick cash. Julian’s earliest encounters were a steady trickle of “oriental” objects from the houses of Russian aristocrats. He had a knack for hearing the hum of genuine. An uncle brought him to auctions in Berlin, then buying trips in Prague, but London was the center of the globe. It was London where Solomon built (and burned) his reputation. It’s rumored during the war he worked for a secret branch of the US Army identifying items hoarded by the Nazis, and it’s also rumored Solomon was threatened with deportation and charges of racketeering if he didn’t cooperate. Whatever the truth, there was no love lost between them when they parted ways. After WW2, Solomon tracked artifacts across a shattered Europe, into North Africa and the Middle East. He made connections in East Asia, brokering deals for private collectors through his network of experts and dealers, although he became more selective with his clientele over the years, refusing to deal in certain conflicts. Solomon says he is retired and under the current climate of occult panic that’s probably for the best, although he still rents an office downtown near the river. 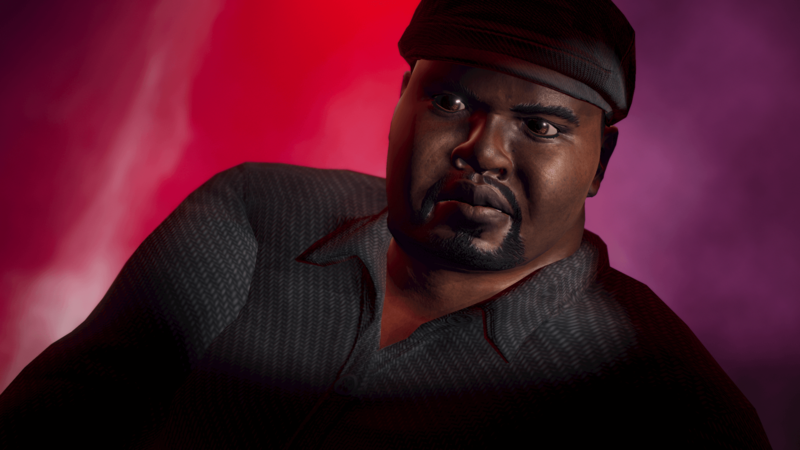 Most nights he stops in at a juke joint near the docks where some of the old jazz and blues musicians play. Sometimes he joins in.